Free consultation: Before hiring an attorney, you can meet with him or her to get an idea of their experience and approach as well as to discuss your case. Legal Advice: An experienced PI attorney can advise you of your rights and help you decide whether or not to bring a lawsuit against the responsible party. Unsafe conditions: Personal injury attorneys are experts in researching and evaluating the safety of a property, vehicle, device, etc. They can provide guidance in terms of whether or not unsafe conditions can be proven to be the cause of your injury. Contingency: Most PI attorneys work on a contingency basis, meaning the client does not pay up front or hourly. The attorney is compensated when a settlement amount is reached, and the client is not obligated to pay unless the case is successfully resolved. Negotiations: The goal in most cases is to settle out of court, which means your attorney will work with the insurance company and/or responsible party to work out a fair compensation. Trial lawyer: If your case is contested by the other side and ends up going to court, there are PI attorneys who specialize in litigation. Confidentiality: Personal injury attorneys owe their clients a duty of loyalty and confidentiality about the specifics of their case. Representing your best interests: Bound by a legal code of ethics, it is the responsibility for your attorney to represent your best interests and to get you the best possible outcome. Future protection: As part of your agreement, your attorney may include language that requires that changes are made to the product, vehicle, location by which you were injured to protect others from the same fate. If you have a personal injury claim in South Dakota, you’re just a phone call away from the Rapid City Law Offices of Gregory A. Yates and Michael Shubeck. With a reputation of being one of the best law firms for personal injury cases, they will work hard to make sure you’re fairly compensated for your injury. 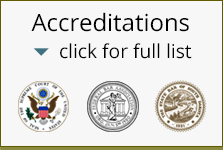 Call or click on the website today to find out how Rapid City Law can help you.